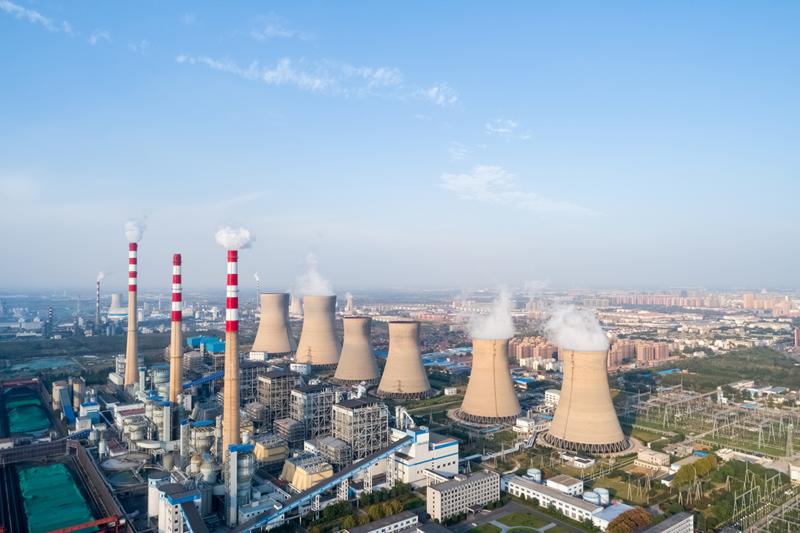 China’s goal to reduce its dependence on coal will require a huge surge in the use of natural gas, and limited supplies at home mean that China will have to heavily rely on natural gas imports over the next decades. As a result, energy is one of the most integral pillars of the Belt and Road Initiative (BRI). Unfortunately, like many aspects of the BRI, the specifics of energy cooperation are still vague, but in any case will have a significant impact on the energy sector. In this article, Guido D. Giacconi, Chairman of strategic consultancy firm In3act, looks at what these implications could be. Energy plays a crucial role within the BRI, mainly because of supply issues related to China’s necessary transition to new energy sources, but also for national security reasons. China’s strategic objective, in line with the country’s commitment at the COP21 in Paris, is to reduce its depend­ence on coal. Reducing coal consumption implies a dramatic increase in the use of natural gas, which currently represents only seven per cent of the country’s energy base share, and an increase in the use of renewable resources. Meanwhile oil will still be in demand in the petrochemical sectors. Domestic production of natural gas (ca 150 bn m3 in 2017 and growing at ca six per cent/year) is not able to match the pre­dicted soar in demand from ca 270 bn m3 in 2018 to ca 600 bn m3 by 2035. Although China claims huge reserves of shale gas, during the energy transition over the next decades it must heavily rely on natural gas imports, derived both from the sea (LNG – liquified natural gas) and land (CNG – com­pressed natural gas). China’s hunger for natural resources and energy contributes considerably to igniting China’s security dilemma as an economic superpower. During 2013–2016, 70 per cent of BRI projects were concentrated in the energy and infrastructure sectors. In mid-2017 the National Development and Reform Com­mission (NDRC) and the National Energy Commission released a vision and action document on energy cooperation under the BRI. 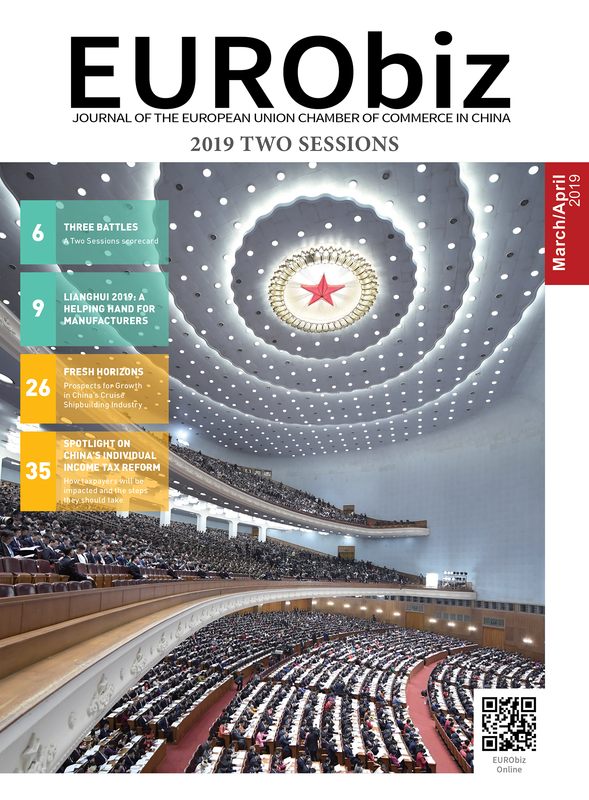 Vision and Actions on Energy Cooperation in Jointly Building Silk Road Economic Belt and 21st Century Maritime Silk Road highlighted key principles: open­ness, mutual benefits, market-orientation, security, respect for the environment and harmony. Cooperation priorities included policy communication, access to trade, energy investment, technology and ca­pacity, infrastructure connection, sustain­ability and governance. The NDRC/NEA document confirms China’s aim to boost energy security and integration within BRI countries while fostering the development of its energy sector and diversification of its supply base and transportation routes. Whether Beijing is explicitly or implicitly us­ing investments under the BRI to project its influence across regions along trade routes and to seek energy security at home, the transnational nature of several energy projects implies unavoidable geopolitical implications. Unfortunately, like many aspects of the BRI, the specific energy cooperation scheme is still vague. The BRI will in any case have a significant impact on the energy sector. China’s energy security challenges mainly lie in the diversification of sources and the supply/transportation routes of these sources. Only full control over them would ultimately guarantee security. The South China Sea (SCS) is potentially a significant source of LNG and oil, with its estimated 6.5 trillion m3 of gas and 11 billion barrels of oil in discovered and probable reserves. These ample reserves offer China an incentive to secure supply. Besides, the SCS remains a critical trade route through which two-thirds of China’s oil and liquified natural gas (LNG) imports are moved. China fears that escalating international tensions in the region could also threaten China’s energy supply through the Strait of Malacca. The Maritime Silk Road Initia­tive (MSRI) should allow Beijing to extend control over its oil and natural gas supplies by directly controlling ports and alternative routes. 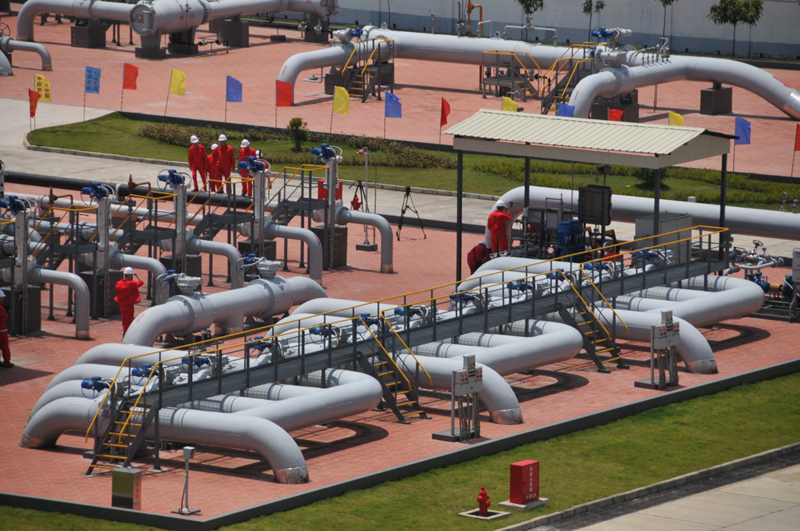 As part of the China-Myanmar Economic Corridor, China built a deep-water port in Kyaukpyu serving as terminus of a USD 1.5 billion oil and parallel natural gas pipeline running to Kunming, Yunnan. The gas pipe­line will provide 12 billion m3 yearly. Alongside the China-Myanmar Pipeline, the Gwadar port in Pakistan, part of the China-Pakistan Economic Corridor (CPEC) connecting the port city to China’s Xinjiang Uighur Autonomous Region, will form an alternative trade route to the Malacca Strait. Energy generation and transmis­sion projects are central in the CPEC: the Pakistan-China Institute’s dedicated portal lists a total of twenty-four energy projects within the CPEC focusing on coal, hydro, gas and renewables. Energy security also drives China’s rapid expansion of its navy. The country’s first overseas military base in Djibouti reflects Beijing’s use of its economic leverage to advance strategic interests to oversee the Bab-el-Mandeb Strait, an important trade route through which around 4.8 million barrels of crude and petroleum products are moved every day. On the mainland, China commissioned Russia’s Gazprom Power of Siberia, a 3,000 km-long gas pipeline linking eastern Siberia with China. This project is consid­ered to be an unprecedented convergence of interests between Moscow and Beijing amid freezing relations with the West. The USD 55 billion project is the first Russian eastern pipeline. Furthermore, the construction of a fourth pipeline (line D) of the Central Asia-China Gas Pipeline is currently underway. Line D runs from Benyeu in Kazakhstan to Turpan in Xinjiang, and will provide 15 billion m3 on top of the 55 billion m3 supplied by the Turkmenistan-China pipeline. If Power of Siberia points to an overall improvement of Russia-China relations, the growing im­balance of power between the two nations remains evident in Central Asia, where Chi­na’s soft power and growing trade relations with the region are undermining Russia’s monopoly over oil and gas exports, and ultimately Russia’s presence and historic leadership in the region. So far, a comprehensive international cooperation platform has not been es­tablished for energy (among many other sectors). However, some major companies have experimented with their own forms of cooperation: for example, Siemens hosted a BRI forum in 2018 to promote itself as the ideal foreign BRI partner. But until now its contribution to the initiative has consisted of supplying equipment and technology to Chinese firms. The Asian Infrastructure Investment Bank (AIIB) has developed a specific energy strategy that clearly depicts an overall investment goal supporting energy-related projects. The AIIB’s strategy to support investments in sustainable energy projects for Asia is a good coordinated initiative that will increase access to clean, safe and reliable electricity, in conformity with the Paris Agreements outcomes. China’s extensive experience in quickly building large-scale infrastructures and its capacity to provide enormous funding support limit MNCs’ chances to win large energy projects along BRI corridors. The AIIB claims that so far, about USD 1bn of projects related to the energy sector have been approved, with companies from Chi­na, Turkey, India, Korea, Bangladesh and Australia involved. Despite their partici­pation in bids, no European company has been awarded a contract yet. In the absence of a well-structured mul­tilateral cooperation platform, European companies (and foreign enterprises in general) will continue to struggle to even identify opportunities and roles to play within all aspects and phases of projects. Their endeavours are stymied due to a lack of transparency on bids, a lack of relation­ships with SOEs, a lack of experience and, in general, a serious lack of cooperation frameworks. Energy is one of the crucial pillars of the BRI and huge China-led investments will be devoted to it within and across BRI countries. China has the goal and right to secure its energy supply in the future as well as to support the economic develop­ment of BRI countries through energy-re­lated projects. China has also engaged to fulfil commitments it undertook at Paris COP21 through supporting sustainable projects and investments both at home and across the BRI network. China must avoid transferring pollution outside its borders by, for example, building inefficient coal-powered plants in BRI countries. European companies and governments must find the most appropriate model to enable them to participate in forthcoming investment opportunities. They must be able to bring their advanced technologies, experience and capabilities to the table when sustainable energy-related projects are at hand. China should also embrace transparency and openness policies so that European companies can engage in mutually-beneficial BRI projects. In3act is a strategic consulting firm founded in 2004 by Guido D. Giacconi and Davide Roncaglioni. In3act offers compa­nies at every level of their organisation a unique and custom-made solution to their business challenges. Strategy, finance, M&A, negotiation, and implementation are combined at In3act to deliver the right solution for every stage of a client’s project. In3act has built a strong network of clients, becoming well established in Europe, Russia, and China. Share the post "The Role of Energy within BRI"